Three years ago, almost to the day, I published my first book. 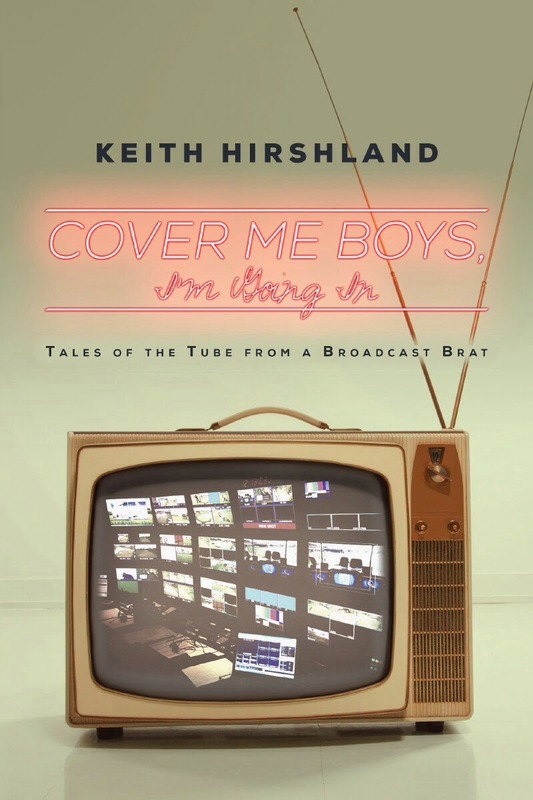 Cover Me Boys, I’m Going In (Tales of the Tube from a Broadcast Brat) was a memoir about a life and career in television broadcasting. It took 4 and ½ years to write and will always be, first and foremost a tribute to my amazing parents who left this earth way too soon. I appreciate everyone who purchased and read it in the past three years and if you haven’t read it yet I only have one question… What are you waiting for? If you enjoy books that pull the curtain back and expose the inner workings of the TV industry I think you’d like Cover Me Boys. It has stories about television pioneers (my parents, Golf Channel founder Joe Gibbs, Don Ohlmeyer), the early days of two TV networks (ESPN2, The Golf Channel), and world renowned athletes (Arnold Palmer, Tiger Woods). Best of all it’s got short chapters! I decided I had told my story and in doing so left behind a testimonial to my mom and dad as well as a reminiscence to show my kids what their old man was up to while they were growing up to become fabulous adults without him. It’s a time capsule, a tip of the cap and a token of my appreciation. And to the best of my recollection it all happened exactly the way I had written it down. It was mission accomplished. I’ve sold thousands of copies and received mostly favorable reviews and I came away from that project with the firm belief that I had another book in me. As it turns out, I did. With a true story under my belt I decided it was time to make one up. The result is Big Flies and you can buy it RIGHT NOW at Amazon.com. Remembering things that happened and then putting those stories on paper in a way that is readable is one thing. The people are real, the places are there, the memories can be corroborated. Creating characters, dreaming up places and manipulating memories is something entirely different. The guy, girl, or in some cases Bernese Mountain Dog who comes to life on page ten has to be the same human or canine when the reader encounters them again on page 50, 150 or 200. There is nobody who can back up the claims you make, no one to correct a date or a quote. Writing well is hard, writing fiction well is harder. It took almost two years (honestly I’m not sure how some writers churn out new works every six months or a year) and it is something of which I am genuinely proud. It’s a mystery. A story about a father and a son. A tale of deception and discovery. Oh, and it’s a love story too. I use actual historic events as a catalyst; four of the world’s most notorious unsolved robberies that happened within the space of 15 years. One of them, the hijacking of Northwest Orient flight 305 (better known as the D.B. Cooper case), happened in my own backyard. All four of the cases described in the book happened and the thieves have never been caught, the booty with which they absconded never found. The question I explore is what if all these crimes, and more, were all perpetrated by the same person or people. Improbable? Unlikely? Unfathomable? Why? As I said I am grateful to those who bought and read Cover Me Boys, I’m Going In and I am hopeful you’ll take the time to purchase and read Big Flies. So go to Amazon.com and buy the new one. Heck buy them both. Then tell me what you think. By the way I’m already 13,000+ words into book number three. This entry was posted in general observations and tagged DB Cooper, Don Ohlmeyer, Joe Gibbs, Tiger Woods. Bookmark the permalink.